Jabu Nadia Newman is a 22-year-old black female artist who works through the mediums of photography and film. Using an agenda of pushing intersectional feminism her work is largely based on the different and complex identities of South African women. She studied Film, Media and Politics at UCT and is the creator of South Africa’s newest feminist webseries The Foxy Five, which has been featured on prestigious media platforms such as Okayafrica, Design Indaba, Mail & Guardian, The Citypress and others. Newman was studying toward her degree when the Rhodes Must Fall campaign and subsequent Fees Must Fall movement burst the nation’s bubble of complacency. Students across the country became engaged in efforts to decolonise the institutions that loomed over them, staging protests that called for free education and the dismantling of oppressive systems. Newman and the young people around her became the drivers of a resurgence of conversations surrounding sexism, feminism, racism, and inequality, conversations that were growing in urgency and volume. Frustrated but inspired, she took a leave of absence to focus her energy on the production of The Foxy Five. Directed by Newman, The Foxy Five stars Duduza Mchunu, Tatenda WekwaTenzi, Qiniso Klinka Van Damme, Nala Xaba and Qondisa James. 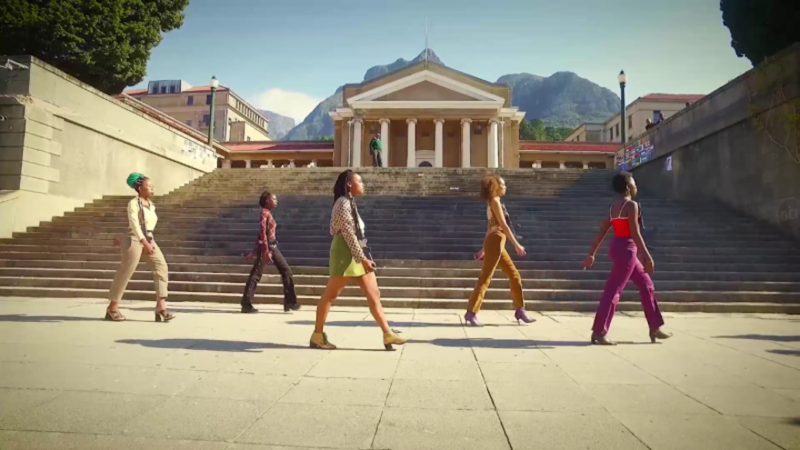 The web series follows the adventures of the white-supremacist-capitalist-patriarchy smashing group of five young women from Cape Town. Each woman represents a different struggle and set of ideals within feminism. Despite their ideological differences and the clashes they often cause, the women are a tight-nit sisterhood that always manage to band together in overcoming The Man. Newman has worked with other influential South African artist such as Dope Saint Jude and Angel-Ho.